January 2019: The 27th Annual Spring Car Show and Automobilia Auction at Capitol Cadillac will be held on Sunday, May 19th. The show will celebrate the 85th Anniversary of the dealership. View show details! 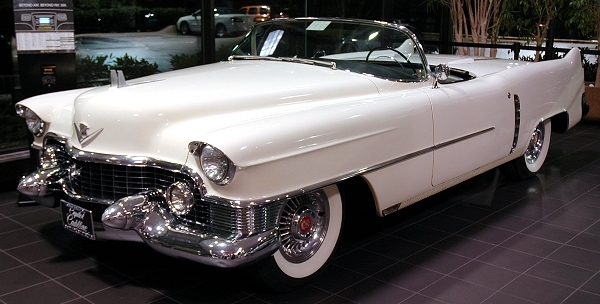 To read about its early history, visit the history of Washington, D.C. Cadillac dealerships. November 2018: View pictures from the 2nd Annual Cars & Coffee at Capitol Cadillac held on Saturday, November 10, 2018. Due to the weather forecast for Saturday, October 27, 100% chance of rain and 50 degrees, the event was rescheduled. May 2018: The 26th Annual Spring Car Show and Automobilia Auction was held on Sunday, May 6th. Thanks to Daniel Jobe and Capitol Cadillac for their continued support. View 75 pictures from the event. October 2017: View pictures from the CLC Potomac Region's first time ever Cars & Coffee at Capitol Cadillac held on Saturday, October 28, 2017. August 2017: Thanks to the Grand National Executive Committee, Valley Forge and Potomac Region volunteers, National CLC volunteers, Corporate Sponsors, Individual Sponsors, Advertisers, Donors, the Hilton and the Westin for making the 2017 Grand National a memorable event! Read all about it and see photos. May 2017: We are very excited to announce that Johan de Nysschen, Executive VP of GM and President of Cadillac, will be attending the 2017 Grand National and will be a guest speaker at the Saturday evening Awards Banquet. This is unprecedented for a CLC Grand National. April 2017: We have received confirmation that the 1953 Cadillac LeMans Motorama car owned by Scott Milestone (LeMans #3) will appear at the 2017 Grand National. Of the four LeMans ever built, LeMans #3 is the only one remaining in original condition. The only other one known to exist is LeMans #4, which is owned by the General Motors (GM) Heritage Center. It was substantially restyled by GM in the late ‘50s included being fitted with a new engine. The two were together perhaps for the first time ever at Capitol Cadillac for Cadillac Dream Cars Weekend in 2008. Here is an opportunity to see one of the most significant cars ever built by General Motors! October 2016: Following in the tradition of celebrating a theme at the Annual Fall Car Show at Capitol Cadillac, the 2016 theme was Celebrating the 75th Anniversary of the 1941 Cadillac. View full coverage including photos. Thanks to Cars On Line and Old Cars Weekly for helping to promote the show, and for Old Cars Weekly for covering the event. May 2016: The 25th Annual Spring Car Show and Automobilia Auction at Capitol Cadillac was held on Sunday May 1, 2016. In spite of the rain, over 30 Cadillacs were in attendance. View pictures from the show. April 2016: Congratulations to the Potomac Region members who won awards at the 2016 CLC Grand National in Las Vegas, NV. February 2016: The 25th Annual Spring Car Show and Automobilia Auction at Capitol Cadillac will be held on Sunday May 1, 2016. View the show registration flyer. On Friday, February 19, 2016, Ron Van Gelderen passed away. Ron was a co-founder, along with the late Steven Sisson, of the Potomac Region in 1969. Visit the club's Region History web page to read how the idea of a Region took shape in 1968-69 as recalled by the late Steven Sisson. Although Ron eventually left the area and lived in different parts of the country, he kept in touch with the Potomac Region. 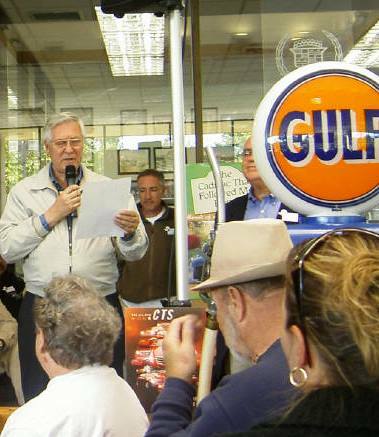 In 2007, he returned to attend the Legacy of LaSalle car show at Capitol Cadillac (pictured right) where he spoke on the history of LaSalles (along with Matt Larson, he co-authored LaSalle: Cadillac’s Companion Car, the most comprehensive book ever written on LaSalles. 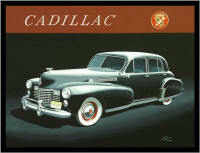 Order a copy at http://www.cadillaclasallemuseum.org/LaSalle-book.pdf -- proceeds benefit the Cadillac-LaSalle Club Museum and Research Center). We will always remember Ron for all of his contributions to the hobby, the CLC, and to our Region! 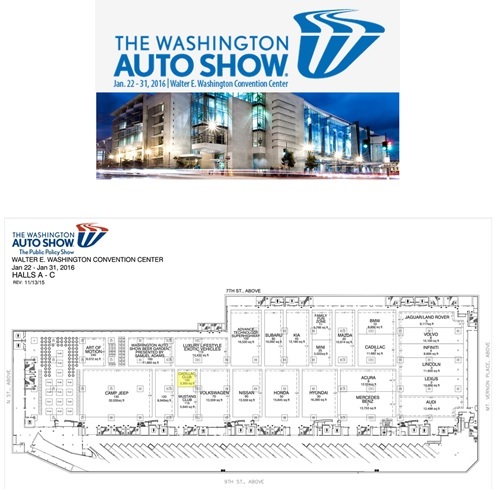 January 2016: Our Region participated in The Washington Auto Show for the first time. See pictures from the show. November 2015: Thanks to Daniel Strohl for featuring our "Trio of Talismans" story in the Hemmings Blog. View post. 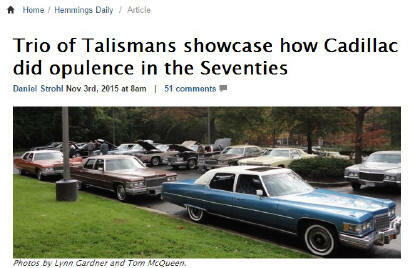 October 2015: For the first time, a CLC regional dealer-sponsored car show featured modified Cadillacs and LaSalles. Magnificent Modifieds, the theme for the 2015 Annual Fall Car Show held on Sunday, October 25th at Capitol Cadillac in Greenbelt, MD, celebrated the creativity and craftsmanship of these unique Cadillacs and LaSalles. View pictures from the show. July 2015: The 2017 CLC Grand National website, designed by Jeff Hansen, is now live! View the site for periodic updates. 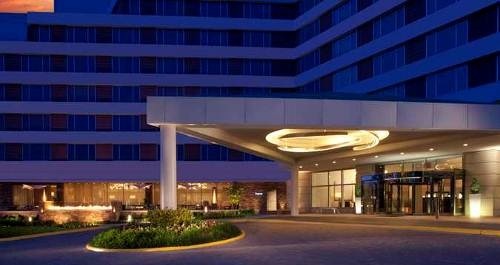 The event, co-hosted by the Potomac Region and the Valley Forge Regions, will be held at the Hilton McLean Tysons Corner Virginia from July 31 – August 6, 2017. Hope to see everyone in the Nation's Capital! June 2015: Congratulations to the Potomac Region members who won awards at the 2015 CLC Grand National in Brookfield, WI. May 2015: The 24th Annual Spring Car Show and Automobilia Auction at Capitol Cadillac was held on Sunday May 3, 2015. 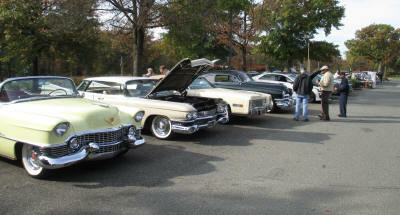 Over 60 Cadillacs and LaSalles were in attendance. View more than 100 pictures from the show. 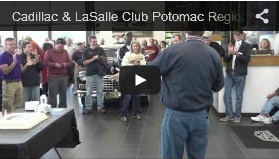 April 2015: View a wonderful video of the 2014 Capitol Cadillac / CLC Potomac Region Fall Car Show, celebrating the dealership's 80th Anniversary. The video was created by Matt Laur from Horizon Imageworks and does a great job capturing the look and feel of these wonderful events at Capitol Cadillac. March 2015: 2017 CLC Grand National to be held at the Hilton McLean Tysons Corner, Virginia! That’s right, it is official. The event will be co-hosted by the Potomac Region and the Valley Forge Region, and will be held July 31 – August 6, 2017. Ronnie Hux will serve as Chairman of the event with Scot Minesinger as the Potomac Region Lead and Jack Hotz as the Valley Forge Region Lead. If members are interested in volunteering to help with the pre-event planning and/or help during show week, please let us know. This will be the first time in the 50+ year history of the CLC that a Grand National will be held in the Potomac Region. Visit the 2017 Grand National website for updates on the event! October 2014: Following in the tradition of celebrating a theme at the Annual Fall Car Show at Capitol Cadillac, the 2014 theme was Celebrating Capitol Cadillac’s 80th Anniversary. The show was held on Sunday, October 26th. View approximately 135 pictures from the show. July 2014: Congratulations to the Potomac Region members who won awards at the 2014 CLC Grand National in Lake George, NY. 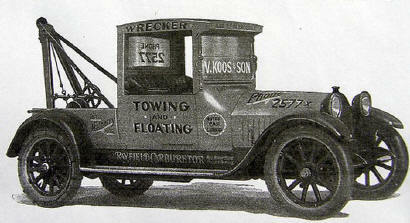 June 2014: Thanks to Daniel Strohl for featuring our "1913 Cadillac Tow Truck" story in the Hemmings Blog. View post. 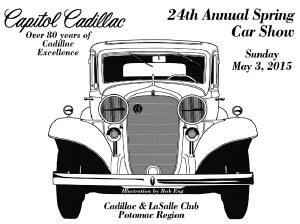 May 2014: Capitol Cadillac and the Cadillac & LaSalle Club Potomac Region held their 23rd Annual Car Show & Automobilia Auction on Sunday, May 4, 2014. View pictures from the show. October 2013: Following in the tradition of celebrating a theme at the Annual Fall Car Show at Capitol Cadillac, the 2013 theme was Colossal Convertibles, honoring the late Henry Ruby, long-time Car Show Coordinator, and the 60th anniversary of the 1953 Eldorado. 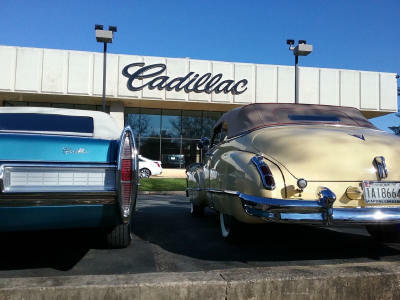 As a tribute to Henry, his 1958 Eldorado Biarritz was on display, as well as the factory-built “super-charged” 1953 Eldorado (pictured right), one of the only two 1953 Cadillac LeMans concept cars remaining (pictured at top of home page) and a 1951 Cadillac custom convertible from the Scott Milestone collection. The show was held on Sunday October 27th. Read about the show and see more than 90 pictures. August 2013: Congratulations to the Potomac Region members who won awards at the 2013 CLC Grand National in Quincy, MA. Also, CLC Potomac Region member Bill Anderson (Boomtimes, Buick Owners of America) and Bee Hamlin, Professional Pride promoter extraordinaire, (On Call, Mid-Atlantic chapter – The Professional Car Society) won Golden Quill Awards for their non-CLC publications. Special thanks to Sandy Kemper, Bob Norrid, Jack McClow, Richard Sills and Margo Sisson for providing proof-reading support; to Shelley Chadick for distributing the U.S. mail version and to everyone listed below for submitting stories and/or photos in 2012. 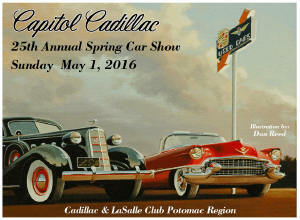 May 2013: Capitol Cadillac and the Cadillac & LaSalle Club Potomac Region held their 22nd Annual Car Show & Automobilia Auction. 58 Cadillacs filled the showroom, the service lane and the spacious parking lot of Capitol Cadillac, including six 1941 Cadillacs. There are more 1941 Cadillacs listed in the CLC International Directory than any other model year, and our show was a representation of that fact. Cars represented the states of Maryland and Virginia, and the District of Columbia. Read about it in the Caddie Chronicle. January 2013: Thanks to David Traver Adolphus for featuring our "2012 Fall Driving Tour" in the Club News section of Hemmings Classic Cars. View story. October 2012: Following in the tradition of celebrating a theme at the Annual Fall Car Show at Capitol Cadillac, our 2012 theme was Professional Pride, celebrating the long and storied history of Cadillac and LaSalle professional cars. Specifically, Cadillac and LaSalle ambulances, combinations, flower cars, hearses and limousines from the model years 1902 thru present were the honored cars at the show on Sunday October 28th in Greenbelt, MD. Read all about the event. June 2012: Congratulations to all the Potomac Region members who won awards at the 2012 CLC Grand National in St. Augustine, FL. Also, CLC Potomac Region member Bill Anderson (Boomtimes, Buick Owners of America) won a Golden Quill Award for his non-CLC publications. Special thanks to Sandy Kemper, Richard Sills and Steven & Margo Sisson for reviewing and enhancing each issue prior to publication, to Shelley Chadick for distributing the U.S. mail version and to everyone listed below for submitting stories and/or photos in 2011. 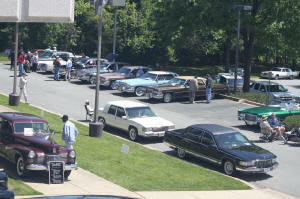 May 2012: Capitol Cadillac and the Cadillac & LaSalle Club Potomac Region held their 20th Anniversary Car Show & Automobilia Auction. Cadillacs from 1936 through recent model years filled the showroom, the service lane and the spacious parking lot of Capitol Cadillac representing the states of Maryland, Virginia, West Virginia, Pennsylvania, and the District of Columbia. Read all about out it. October 2011: 77 pre-registrations! That’s what we received for the Dazzling DeVilles show, which by the way is an all-time record. With those many pre-registrations, we were looking at a record turnout; even more cars than the 115 cars we had for the Fabulous Fleetwoods event the year before. All we needed was nice weather, but a funny thing happened the day before the show. It snowed! Not just flurries, but accumulating snow, especially in Ohio, Pennsylvania, New Jersey and West Virginia, as well as parts of Maryland. Richard Sills commented that the last time there was accumulating snow in October in Lancaster, Pennsylvania was 1973! And the time before that was 1940! 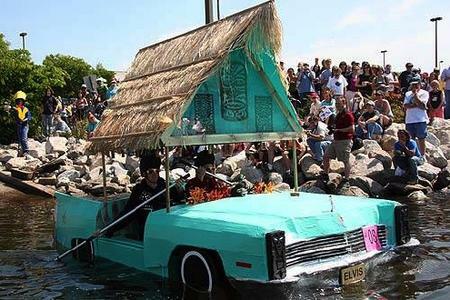 Read the full story about the Dazzling DeVilles event in the Caddie Chronicle. Also, CLC Potomac Region members Grace Gluck (Metropolitan Skyline, CCCA Metro Region) and Bill Anderson (Boomtimes, Buick Owners of America) each won a Golden Quill Award for their non-CLC publications. Special thanks to Sandy Kemper, Richard Sills and Steven & Margo Sisson for reviewing and enhancing each issue prior to publication, to Shelley Chadick for distributing the U.S. mail version and to everyone listed below for submitting stories and/or photos in 2010. February 2011: Thanks to David Traver Adolphus and Richard Lentinello for featuring our "City of Rockville Antique Car Show" coverage in the Club News section of Hemmings Classic Cars. View story. February 2011: Steven Sisson, who co-founded the Potomac Region in 1969 with Ron VanGelderen, passed away on February 26, 2011. Steven was the 2008 recipient of the CLC’s most prestigious award, the Henry M. Leland Award. The Leland Award is presented to an outstanding CLC member who has performed acts of great merit. He performed acts of great merit for the CLC since 1969. 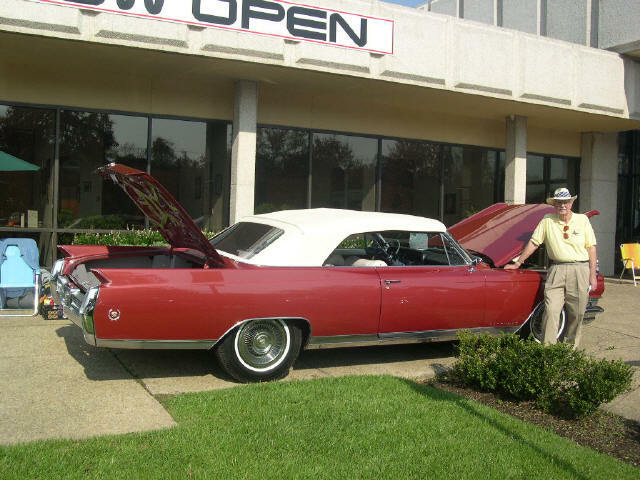 Steven’s involvement with the CLC all started in the summer of 1968 when he and his brother Richard answered a classified ad in The Washington Post for Cadillac parts being disposed of by the widow of a collector who had several 1938-40 era senior Cadillacs. After being led to the parts stash in the basement, they met Ron VanGelderen who was rummaging through the parts. They soon learned that Ron owned a small fleet of some 4 or 5 collector Cadillacs and he recently moved to McLean, Virginia from Chicago. They invited Ron to their Dad’s nearby home to see Steven’s ‘46 convertible. Talking there, they were amazed to learn that Ron had come from a very active CLC Region in Chicago and he had already become distressed to learn that there was no active local Region in the Washington, DC area. A few months later, Ron called Steven and asked if he could come up with a mailing list of interested Cadillac fanciers in the area. Ron wanted to explore the idea of forming a local region. Steven said yes because he was a member of the local AACA Region and CHVA Region and knew a lot of people. He came up with some 20-25 names and forwarded them on to Ron. Then Ron and his wife Sherie did the mailings and invited the people on Steven’s list to their home for a meeting. The first meeting took place in January 1969 with some 15-20 potential members in attendance and was featured in The Self-Starter. Ron led the meeting and announced that he wanted to get a local Region started. Later in 1969, the first meet was held at Turkey Run Park in McLean, Virginia with 12 classics in attendance. About a month or so later, another get together was held at his home and after some discussion, it was decided that the Region would be called “Potomac” and Steven Sisson would be its first Director. The first order of business was to apply to the National Club for provisional status and to get a good mailing list organized. These things were done and the Potomac Region was off and running. Steven directed the infant organization from 1969–1976. It was very loose in a number of ways in the early days, including not even requiring dues for the first couple of years. The hat was passed around at the various get-togethers and this brought in enough money to buy paper supplies and pay for postage. Steven more or less ran the club from his office on 15th Street, while also serving as its newsletter writer/editor. Different people came up with ideas for gatherings, meetings and so forth. Eventually dues were put in effect when it became necessary to buy trophies to give out at the national sanctioned shows. From the beginning, the Potomac Region kept growing. In the early years of the 1970s, its members included a number of members who remain active today. Besides the DC area enthusiasts, Cadillac and LaSalle owners from Pennsylvania and New Jersey made the journey south to attend Potomac Region events during the mid ‘70s. By then, Steven who was the CLC's Eastern Vice President of Regions, felt that there was a need for a CLC Region in Pennsylvania, because, "we have a large number of members residing there, but no Region for them to be involved with." Steve published an open letter to CLC members residing in Pennsylvania in the February 1975 The Self-Starter, promising that if there was interest in a CLC Region in Pennsylvania, “The New York, Potomac, and New England Region people will assist you in getting started and I assure you I will give you all of the guidelines necessary.” From this appeal came the Valley Forge Region which has not only flourished but has become one of the most active Regions in the CLC and host of the club’s 50th Anniversary Party, the 2008 CLC Grand National. For a time during the ‘80s and the early ‘90s when the Potomac Region became less active and questions were raised about its continued viability, it was the Valley Forge Region -- which had begun with an enthusiasm sparked by the Potomac Region – that provided welcome support to its neighbor to the south. Several Valley Forge Region members joined the Potomac Region when it was trying to build its membership back up, and a considerable number of cars with Pennsylvania and New Jersey license plates continued to regularly attend the Potomac Region’s meets and shows. The Potomac Region survived until its recent resurgence in 2003, due in part to Steven’s efforts over the years, as well as the car shows sponsored since 1992 by Capitol Cadillac and Daniel Jobe. Since 2003, Steven developed the club’s initial website; participated in the design of the Region’s logo and served as Activities Director, liaison with the Central VA Region, newsletter columnist and proof-reader and co-chair of the 2009 CLC National Driving Tour. In addition, he continued to attend numerous national CLC and AACA events across the country including Grand Nationals held in California, Georgia and New Jersey, respectively. His account of the numerous events had been a featured column in the Caddie Chronicle and his story on the 2006 Charlotte Auto Fair Spring Meet was also featured in Hemmings Classic Car. Steven truly exemplified the best that the hobby and the CLC have to offer and has been an ambassador of the club since the late 1960s. All of us who had the privilege of knowing him will miss him greatly. Our sincerest condolences go out to Margo, David & Donna, Richard & Jan and the entire Sisson family. November 2010: Read the story on past CLC President Glenn Brown featured in Hemmings Classic Car. Thanks to Richard Lentinello, Editor-in-Chief at Hemmings Motor News, for granting us permission to post this great article. October 2010: Read about the Fabulous Fleetwoods event in the Caddie Chronicle. There were 115 Cadillacs present including 44 Fleetwoods. Cars were driven to the show from ten states, representing eight different CLC regions (ten regions counting the CLC members who attended without their cars). It was a terrific gathering of exceptional automobiles. July 2010: Congratulations to all the Potomac Region members who won awards at the 2010 CLC Grand National in Overland Park, KS. Special thanks to Sandy Kemper, Richard Sills and Steven & Margo Sisson. Not only did they submit stories and photos, they reviewed and enhanced each issue prior to publication. We would also like to thank the individuals and organizations listed below for their contributions. April 2010: We're pleased to announce that the officers of the Potomac Region have unanimously voted in favor of “adopting” the AACA Museum's 1977 custom ordered Cadillac Seville personally owned by actress and television icon, Betty White. It was owned by the actress for 25 years. This vehicle is prominently on display in the main lobby at the Museum along with a selection of photographs covering Betty White's acting career, including an image showing the car being used in the two-part episode "Mama for Mayor," from the television series "Mama's Family." In addition, this famous car has the Potomac Region's name and website appearing on the display sign in front of the car! The Adopt-a-Car Program offers an organization or individual the opportunity to adopt a car in the AACA Museum’s collection. By adopting a car one provides some financial support for the up-keep and maintenance of the adopted car. A contribution of $500 helps support the car for one year. The contribution covers some of the costs of insurance, any required mechanical work, supplies to keep the cars in show room condition, and other costs. Also, adoptions are important contributions to the Museum and to the automotive hobby. Several Potomac Region members attended the adoption ceremony at the Museum held last November when the CLC Valley Forge Region and the CLC Carolina Regions each adopted a Cadillac in the Museum’s collection. With our adoption of this famous Cadillac, the Potomac Region continues to show that it is among the elite regions in the CLC. Game Show host Allen Ludden purchased the car for his actress wife Betty in May 1977. The car was ordered in the custom color, Seamist Green, from Martin Cadillac in Los Angeles, California. It was given to her as a surprise gift. The vehicle sported a mere 14.3 miles when it was driven off the dealership's lot and it currently has less than 18,000 miles on the odometer. After 25 years of ownership, Betty donated the Cadillac to a charity from which it was purchased by a private collector who owned it for several years. The car's last private owner, Mr. Nicholas Ferrantino, of Houston, Texas presented it to the AACA Museum. It is in superb condition and it looks like it did when Betty White took possession of it. For further information, please visit the AACA Museum's website. March 2010: Congratulations to CLC Potomac Region member Bryce Frey whose 1953 Muntz Jet was featured on the front cover of the March 25th issue of Old Cars Weekly. Read article. 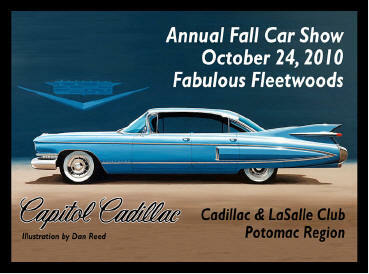 October 2009: Capitol Cadillac's 75th Anniversary Car Show was featured in the October 15, 2009 issue of Old Cars Weekly. Read about the show in the Caddie Chronicle and on the website. August 2009: A 1959 Fleetwood Series 60 Special sold new by Capitol Cadillac was featured in the August 6th issue of Old Cars Weekly. The car is owned by CLC members Dave & Dora Forry of Manhiem, PA. Read story. June 2009: Daniel Jobe, President of Capitol Cadillac, was awarded the 2009 CLC Cadillac Herald Award at the Grand National in Las Vegas. Congratulations to Daniel on receiving this prestigious award. Previous winners read like a who’s who of General Motors: Bob Lutz, Greg Wallace, Jim Taylor, Gary Cowger and Rick Wagoner. Read story. Congratulations to Region member Benjamin Berman, who drove from Sarasota, FL to Las Vegas, NV and won First Place in Class P28: 1985-1999 Cadillac (without 1985 Eldorado and Seville) for his 1985 Cadillac CB69 Fleetwood Sedan. At the Grand National, the Potomac Region also received an award, the CLC Norm Uhlir Regional Activity Award. This marks the second time that the Region has won the award. Congratulations to all the members! See story. June 2009: Vern Parker, syndicated auto columnist, launched his new web site featuring locally-owned antique cars! In addition, the CLC St. Louis Region and its Editor David Armbruster received honorable mention in the Black and White category and the Potomac Region’s Bill Anderson won as Editor of BOOM TIMES, Buick Club of America / Buick Club of Maryland, in the Regional Luxury category. The stories and photos that we published in 2008 were informative, entertaining and enjoyed by classic car enthusiasts world-wide. Special thanks to Sandy Kemper, Richard Sills and Steven & Margo Sisson for reviewing and enhancing each issue prior to publication and to everyone listed below for submitting stories, letters to the editor and/or photos in 2008. 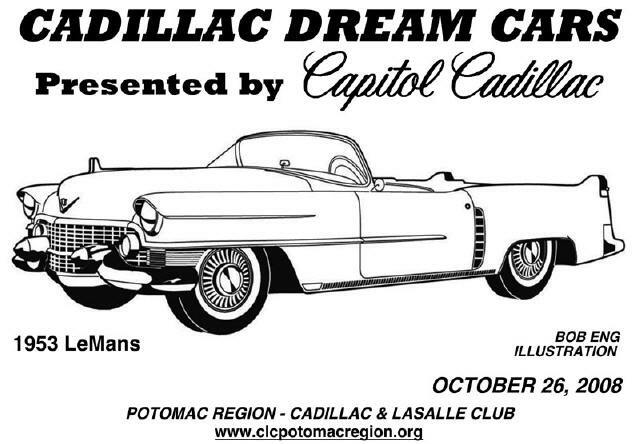 April 2009: Our 2008 Fall Capitol Cadillac / CLC Potomac Region car show, Cadillac Dream Cars, was featured in the April 2009 issue of Cars & Parts magazine. See story. January 2009: Our 2008 Fall Capitol Cadillac / CLC Potomac Region car show, Cadillac Dream Cars, was featured in the January 2009 issue of The Self-Starter magazine. See story. 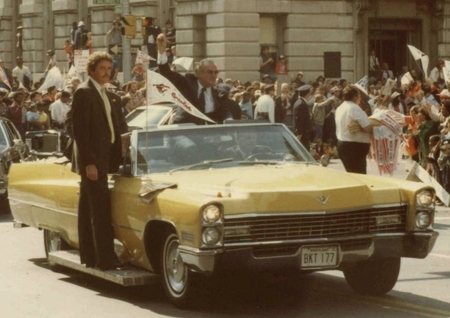 December 2008: Thanks to David Traver Adolphus for featuring our "1983 Baltimore Orioles Victory Parade" photos in the Hemmings Blog. View post. 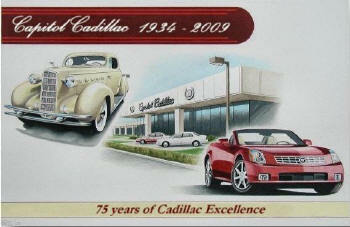 September 2008: Cadillac Dream Cars Coming to Capitol Cadillac!! August 2008: Congratulations to all the Potomac Region members who won awards at the 2008 CLC Grand National in Cherry Hill, NJ. May 2008: The CLC Potomac Region's Caddie Chronicle newsletter received Honorable Mention for the 2007 Old Cars Weekly Golden Quill Award (Black & White category), along with Sallee Speaks (the CLC LaSalle Appreciation Society Chapter newsletter – Editor Nancy Hotz) and The Standard (CLC Motor City Region newsletter – Editor Kevin Luedtke). Thanks to everyone who submitted articles and stories this past year. Chris Milici for Cadillac Past, New England Region newsletter (Regional Compacts category). The CLC was well-represented in this year’s selections. 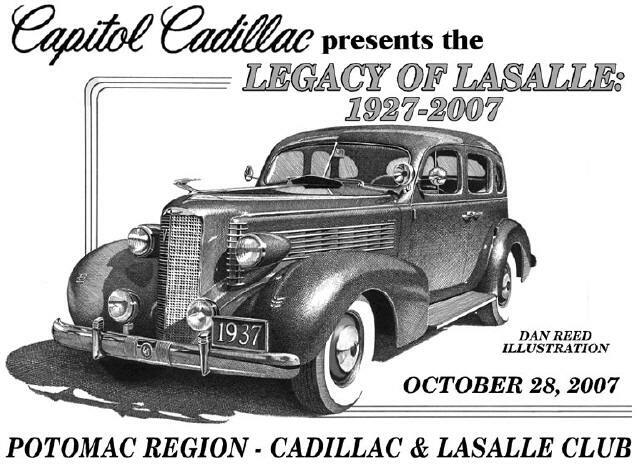 February 2008: The Capitol Cadillac/CLC Potomac Region's Fall 2008 Car Show featuring the Legacy of LaSalle: 1927-2007 was showcased in The Self-Starter magazine. Read story. August 2007: Congratulations to all the Potomac Region members who won awards at the 2007 CLC Grand National in Savannah, GA. The list of winners is below. July 2007: Thanks to David Traver Adolphus for featuring our "Hunka Hunka Burnin' Junk" story in the Hemmings Blog. View story. Special thanks to Sandy Kemper, Richard Sills and Steven & Margo Sisson for reviewing and enhancing each issue prior to publication and to everyone who submitted stories, letters to the editor and/or photos in ‘06. March 2007: The response to our Presidential Limos story has been overwhelming. Soon after it was published in the March 2007 Caddie Chronicle newsletter, Hemmings Auto Blogs and other blogs across the world posted the story. Read newsletter version. 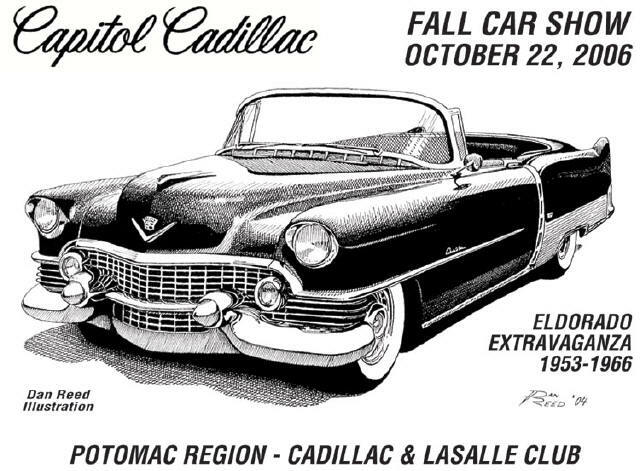 February 2007: Our 2006 Fall Capitol Cadillac / CLC Potomac Region car show, Eldorado Extravaganza: 1953-1966, was featured in the February 2007 issue of Hemmings Classic Car. See story. The show was also featured in the February 2007 issue of The Self-Starter. Read story. October 2006: Eldorado Extravaganza: 1953-1966 featured on front cover of the October 12, 2006 issue of Old Cars Weekly! 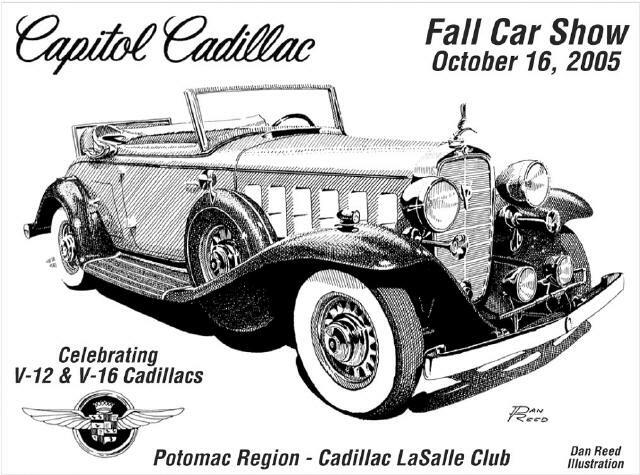 March 2006: Our 2005 Fall Capitol Cadillac / CLC Potomac Region car show, Celebrating V-12 & V-16 Cadillacs, was featured in the March 2006 issue of Hemmings Classic Car. See story. February 2006: Our 2005 Fall Capitol Cadillac / CLC Potomac Region car show, Celebrating V-12 & V-16 Cadillacs, was featured in the February 2006 issue of The Self-Starter. Read story.